Hotforming enables the production of car body parts meeting highest safety and quality standards and reducing the component‘s weight at the same time. 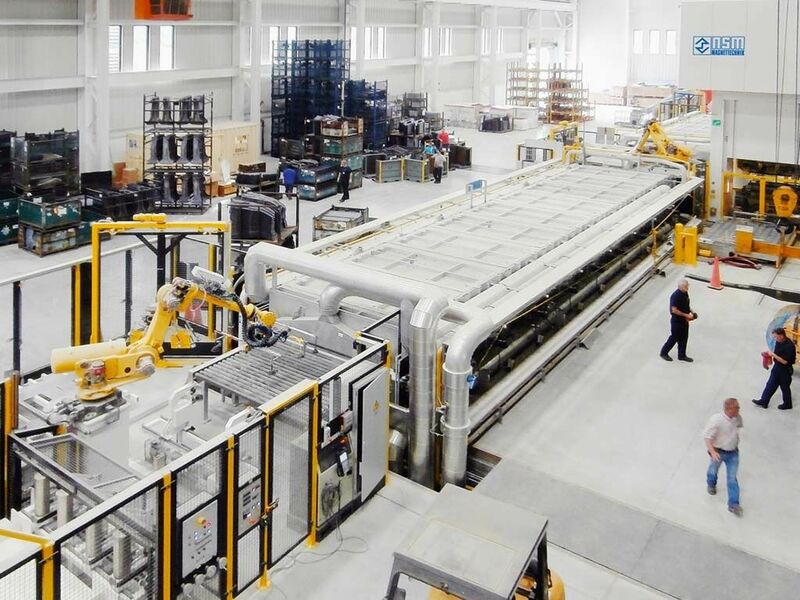 The method requires an automation process reproducible at any time.NSM realizes the whole automation chain; from the blank destacking system to the roller furnace via the pressing automation down to the fully automatic destacking of finished parts in transport racks or bins. Here you will find our latest brochure about the business unit press automation.